Eat as a snack or in salads and desserts – including raw desserts. Eat with fresh fruit, muesli or porridge for breakfast. The perfect snack! The organic nuts are soaked in water until they begin to sprout. They are then dehydrated at low temperatures (below 45°C) until they are about 10% lighter and really really crunchy. Nuts are an ideal snack, high in dietary fibre, which will leave you feeling satieted. High in unsaturated fats which are good for your skin, brain and heart. They are packed full of high quality protein and are high in magnesium. Little nuts dream of sprouting into trees someday. But before they’re ready to sprout they protect themselves from being eaten by hungry little animals. A hard shell is not their only protection, nuts have a few more tricks up their sleeves to help on their journey to tree-hood. Nuts contain compounds that make them hard to digest for animals (and us humans). These compounds stop the nuts from releasing their nutrients until they’re ready to sprout. But what if there was a way to trick nuts into thinking they were about to sprout, locking in the nutrients and making them taste fresh and sweet? Oh, and did we mention extra, extra crunchy? This is a process we call ‘ACTIVATING’! 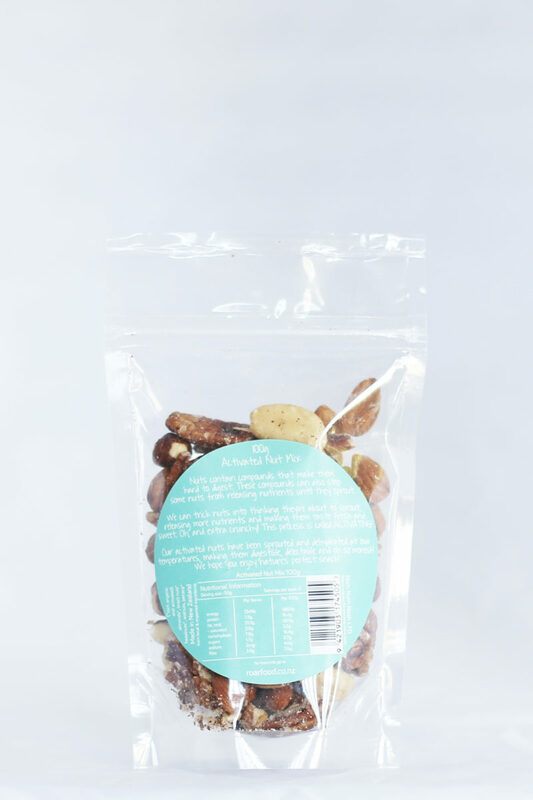 Try our activated nut mix, which has been sprouted and then dehydrated at low temperatures to maintain all of the nuts’ nutrients, making them digestible, delectable and ever so moreish for us hungry little animals. We hope you enjoy nature’s perfect snack! 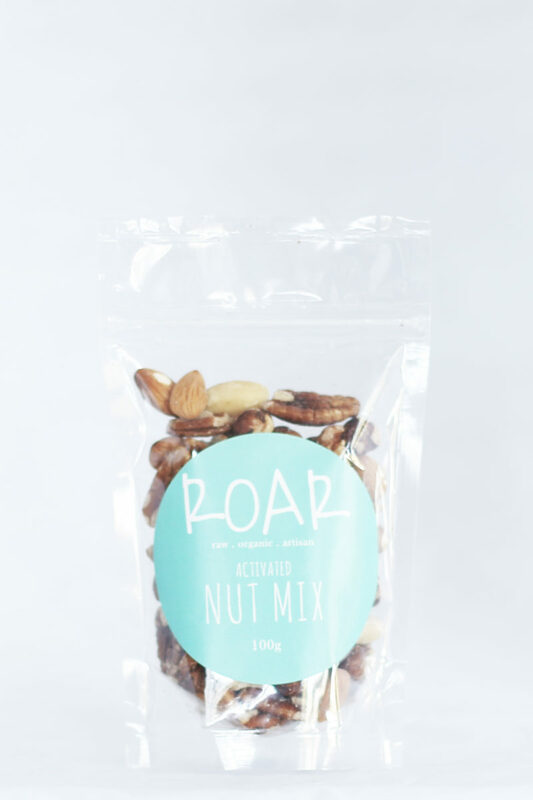 ROAR activated nut mix contains yummy crunchy, tastier nuts than your usual raw nut- we are 100% sure you will appreciate the difference!